Chandelier decorating for a Valentines Day party is a nice way to create more fun and celebrate this wonderful holiday with beautiful decor. Valentines Day ideas bring traditional hearts decorations and flower designs in red, pink and purple colors that you can add to your chandelier, ceiling or pendant lights. Creative hanging decorations, combined with a perfectly arranged combination of pink and red decorations on the table and walls, fill a dining room with festive mood and bright decorative accents. Valentines Day party table decor, combined with hanging from the ceiling, pendant lights or chandelier decorations in matching tones look fantastic. Handmade chandelier decorations for Valentines Day can be simple and easy to make, they are unexpected, captivating and interesting anyway. 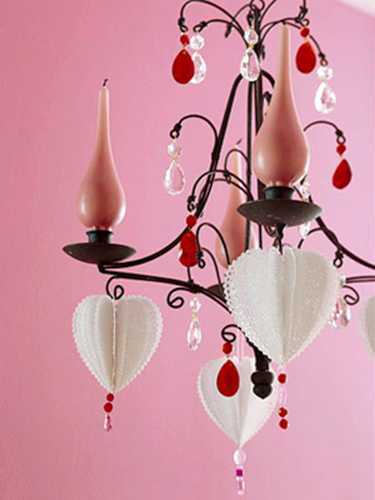 Adding classic hearts decorations to your creative chandelier decorating ideas makes Valentines Day ideas look unique and bright, elegant and very special. Hanging from the ceiling, pendant lights or chandelier decorations will catch your guests off guard with unique designs and bright colors, bringing more joy and smiles. Valentines Day ideas call for beautiful decor. 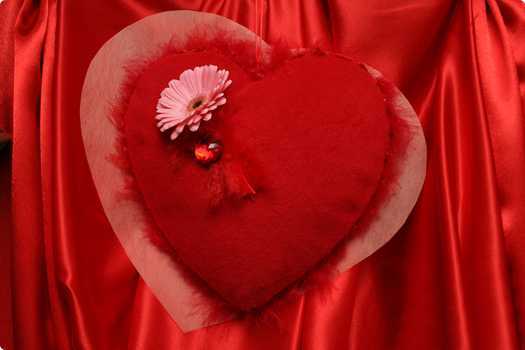 Floral designs and hearts decorations in red, pink and purple colors can be changed to your favorite designs. 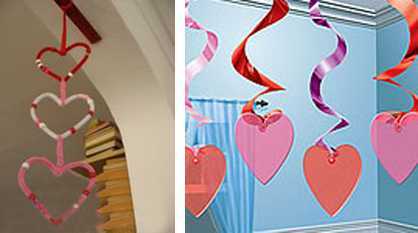 Blending traditional Valentines Day ideas with your favorite home decorations and room colors are the best way to design fabulous, romantic and inspiring Valentines Day decor. Your pendant lights or chandelier decorations are the backdrop for the Valentines Day party. 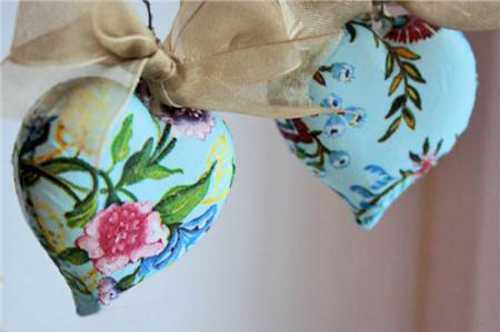 These handmade decorations welcomes guests and create pleasant memories. 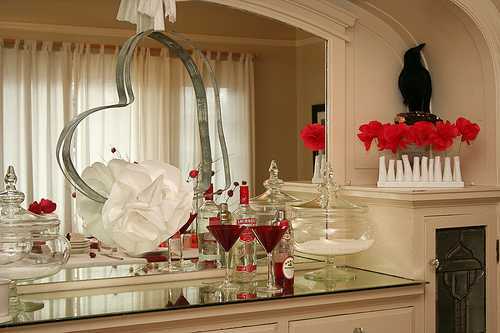 Here is a collection of 21 beautiful decorating ideas for Valentines Day. 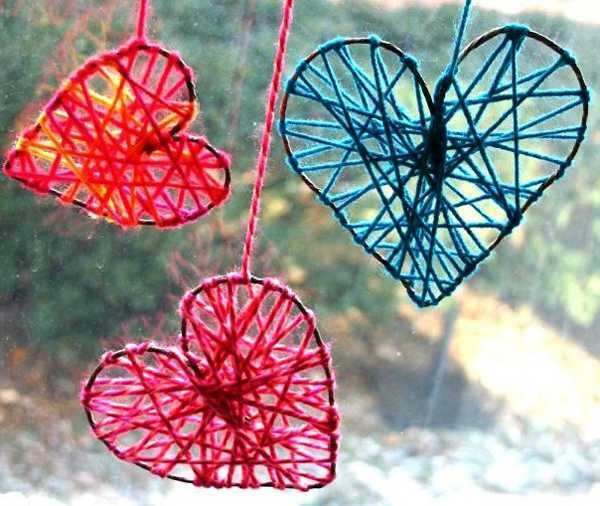 Check them out, get inspired and resourceful, make some of these inexpensive and easy Valentines Day decorations for your home. Be creative and think outside of the box when it comes to fun Valentines Day ideas.